The great thing about my friend Alison, is that she is a planner and came with a list of things that she would like to do for her limited stay in NYC. 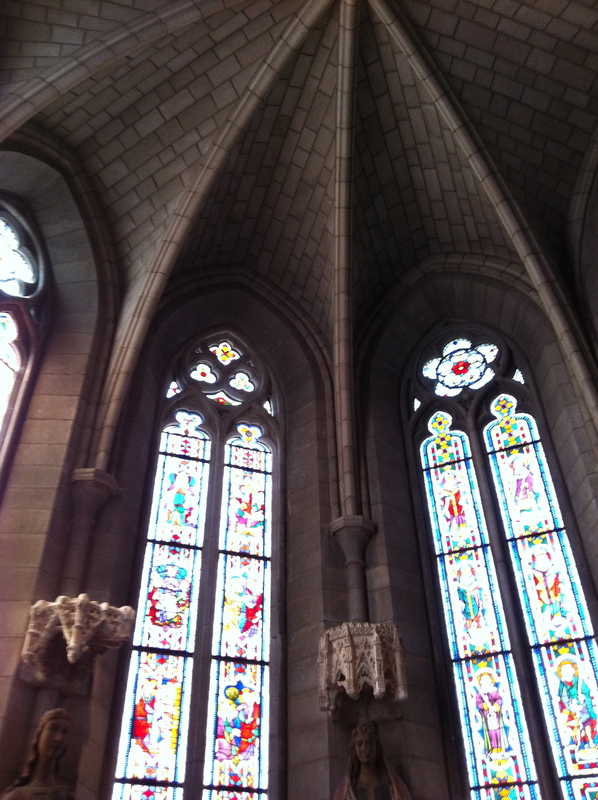 We ventured to St. John the Divine Church, Magnolia Cupcake, The Lego Store, FAO Schwarz, The Disney Store, Rockefeller Center, strolled through Riverside and Central Park and walked up and down the streets taking it all in. 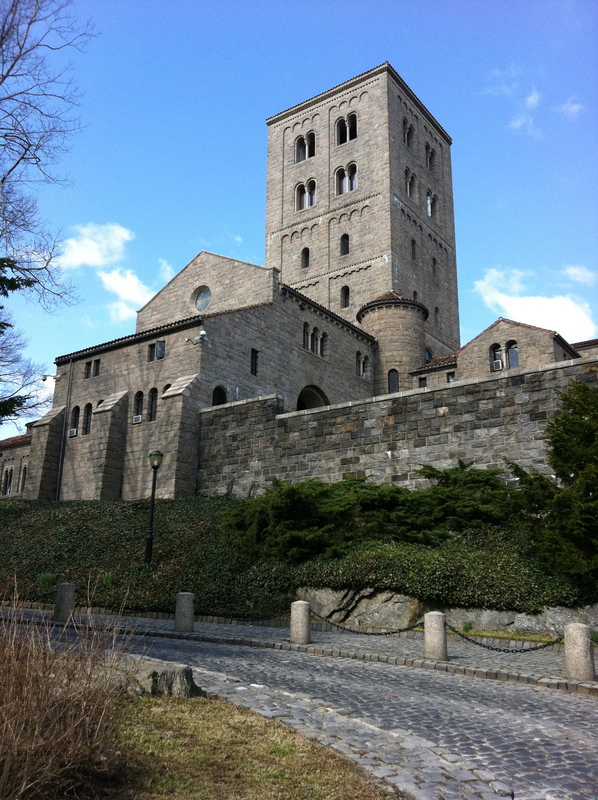 But, the coolest place she wanted to go to was Fort Tryon Park and The Cloisters. 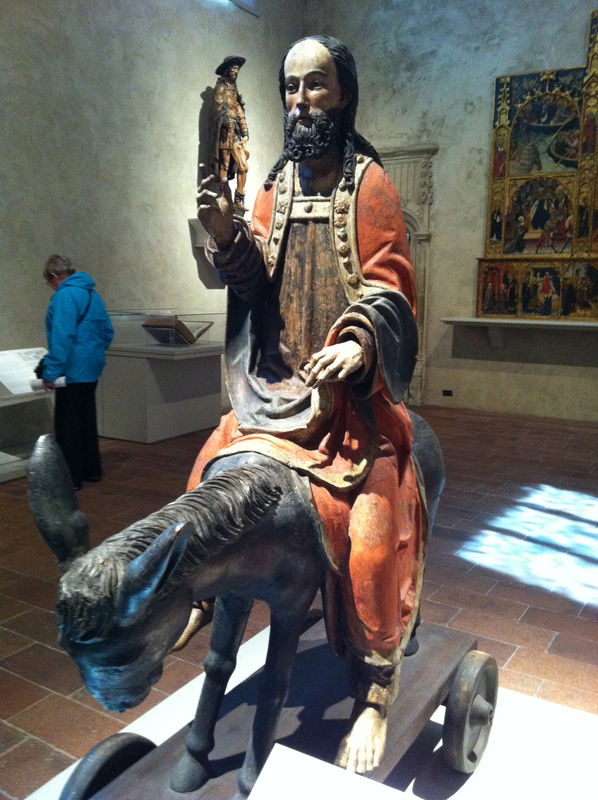 I had never heard of these two places and was eager to head out and see them. We hopped on the A train and headed to 190th street. 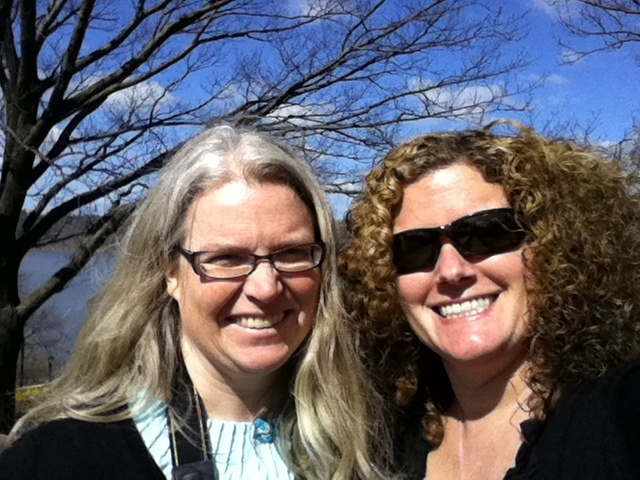 It was an absolutely beautiful day- sunny and high of 60’s. When we arrived at 190th, we (I) made the mistake of exiting through the tunnel and we ended up at the wrong entrance but we were able to see the beautiful rock wall ridge and a very unique subway entrance in the process. 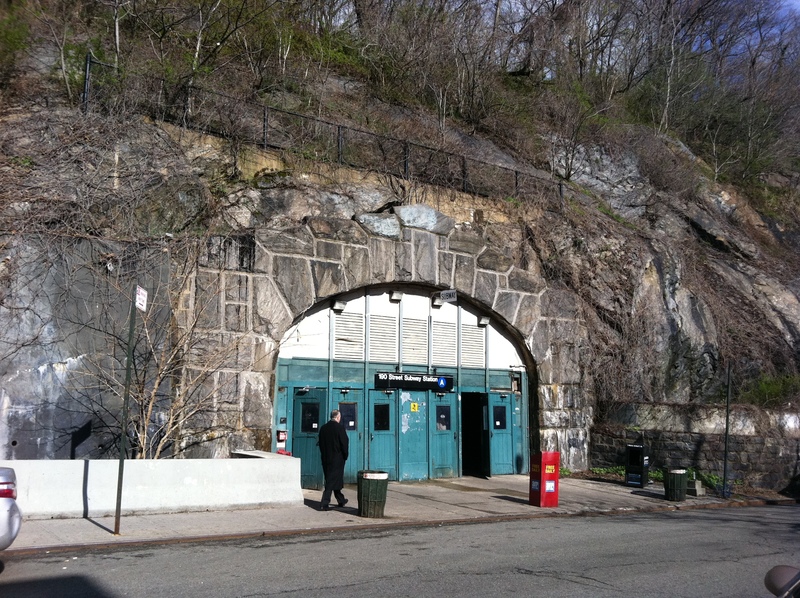 We headed back into the subway and took the elevator up and exited on to a beautiful and peaceful setting- the entrance to Fort Tryon Park. 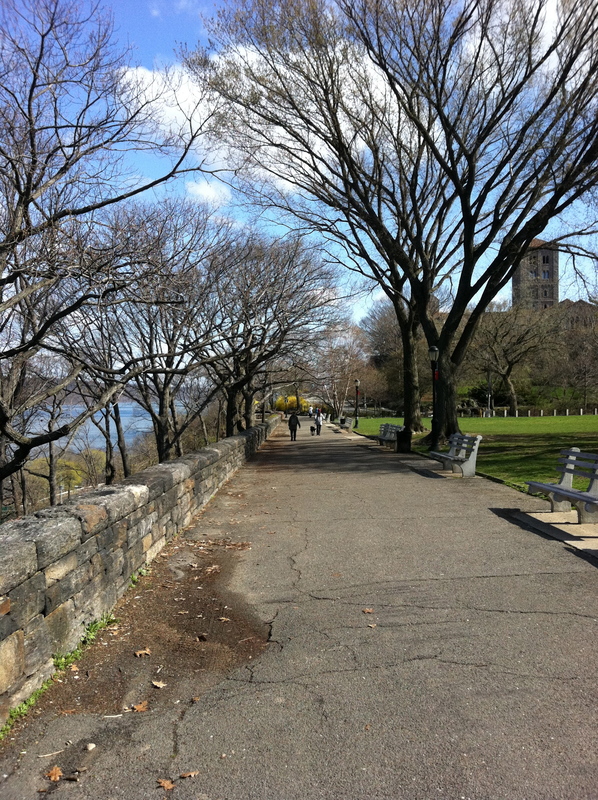 Fort Tryon Park is truly spectacular at this time of year and I am sure it is amazing at any time of year. Right now the trees and flowers are starting to bloom and it really is an incredible escape from the hustle and bustle of everyday city life. 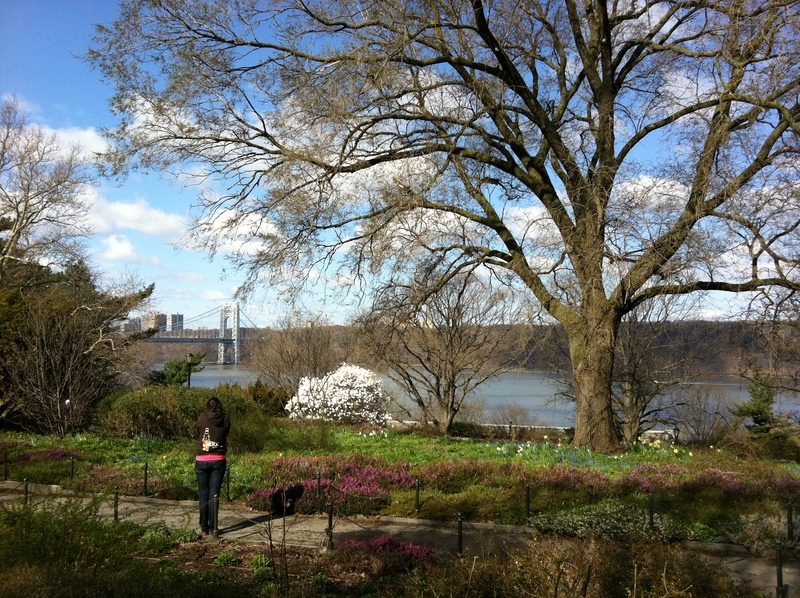 There are winding, wide open trails, beautiful gardens and pathways that have majestic views over looking the Hudson River. I fell in love instantly. It was a fabulous new find. I love it when people come to visit in the city and they show me new places. 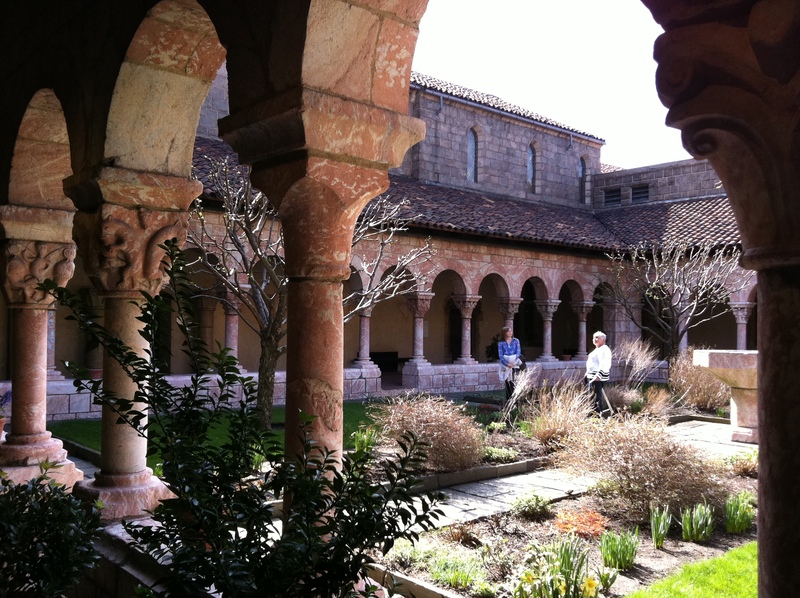 I am adding Fort Tryon Park and The Cloisters to my “must do” list of things for people who come to NYC. Next week, the girls and I will definitely venture out to explore the park during spring break. They will love the wide open spaces to run around. It would also be a great spot for a picnic lunch and a good book. Right now, I am gearing up to see a couple of more visitors from Ottawa and family are heading our way too. I can’t wait to see everyone, but I have a feeling that in about a week or so after all the visitors leave and the girls are back at school I might be sneaking back to the park for a bit of peace and quiet =). Enjoy the weekend everyone!! 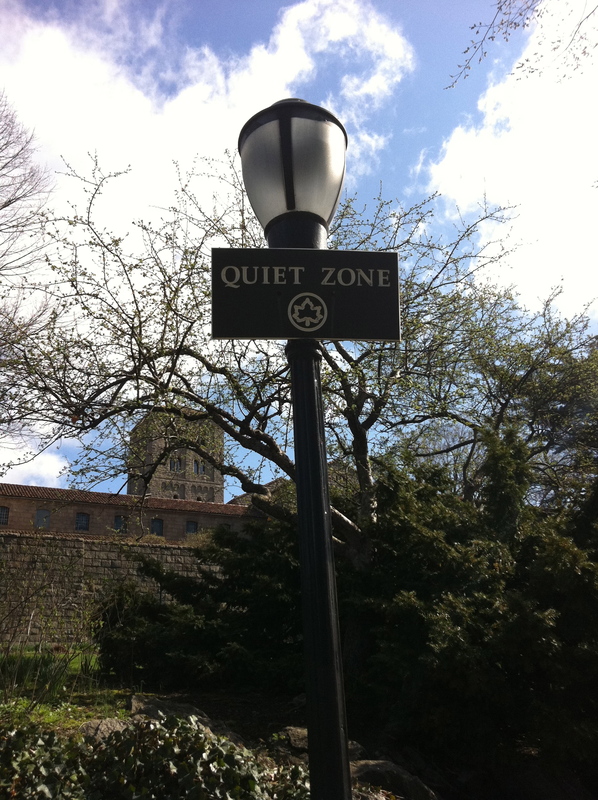 Not a sign you see very often in NYC! 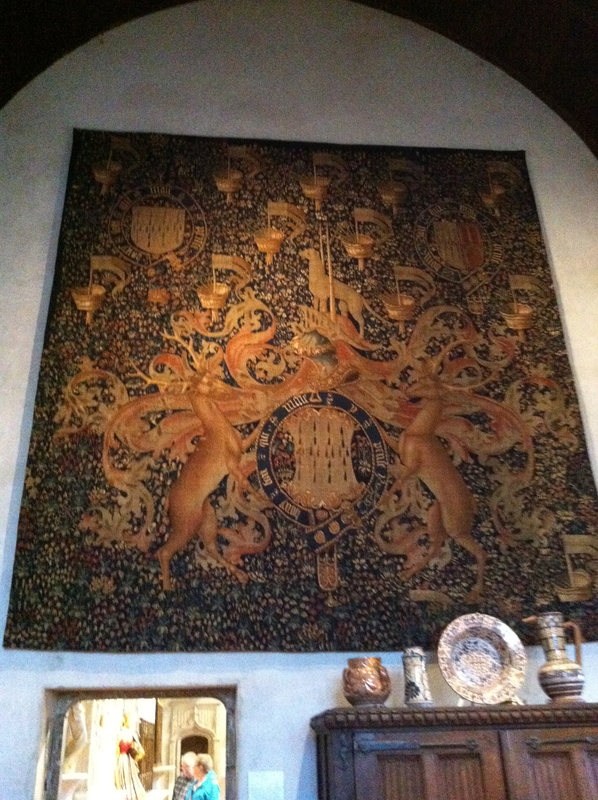 i love the cloisters too. last year i took my kids to a scavenger hunt there, it was really great. not sure if it is an annual event or not, but it should be! Wow, excellent post! I shall be hitting both of these spots shortly myself… Thanks Sandra!